VicHealth’s This Girl Can – Victoria campaign is all about women getting out and getting active regardless of age, level of ability, background, body shape and size. The inaugural This Girl Can – Victoria Week runs from 18 – 24 March 2019. The Kardinia Park Precinct is a central hub for physical activity in Geelong, hosting a vibrant mix of sporting clubs and organisations. The Kardinia Park Stadium Trust, together with our precinct partners, applaud VicHealth and This Girl Can – Victoria in their mission to help women find an activity that is enjoyable and feels right for them. Whether its organised sports, umpiring, use of the Kardinia Park outdoor exercise station and walking paths, dance lessons or frisbee with the dog – the options are endless. The Trust shares a vision of ingrained inclusion and equality in sport, particularly women and people of all abilities. The This Girl Can – Victoria program is driving change at grass roots level for women and sporting organisations in our community. GMHBA Stadium recently played host to the Geelong Cats inaugural AFLW team, hosting three home games for the team’s first year in the competition. This was a very proud moment for the Trust and our community. 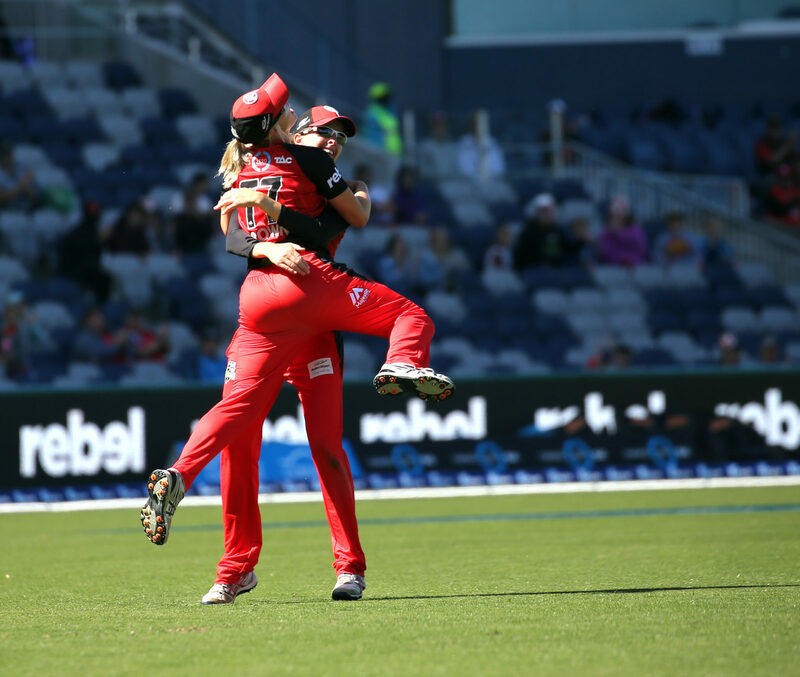 On top of footy, GMHBA Stadium has also been the stage for The Renegades Women Big Bash team, Female community kick to kick during the 2018 Festival of Sport and host to the Galaxy United FC Celebration of Female Football. Galaxy United are regional Victoria’s only Women’s National Premier League (WNPL) ClubThe 2018 event was a festival of women’s football, showcasing the very best football talent that Geelong has to offer from under 12’s through to Galaxy United’s Senior team. There are a number of organisations located here at Kardinia Park and GMHBA Stadium who are working hard to provide practical and inclusive programs for all members of the our community. Click on the links above to check them out online or contact them directly to find out more about their programs and initiatives to help women get moving! You can also visit the This Girl Can – Victoria website or social pages (Facebook, Instagram or Twitter) to see what events are being held around Geelong this week to help you get active and find a new passion!